New Year’s Day is huge in Japan, eclipsing even Christmas in terms of excitement from the general public. It is a time for tossing aside problems of the previous year, rejoicing for the new one, spending time with family, eating mochi, and, of course, bargain sale shopping! The city of Kobe is known for being a bit more fashionable with higher class shopping than other cities, so traditionally, it is a time I hunker myself in to avoid the onslaught of crazy shoppers. Not this year, though. 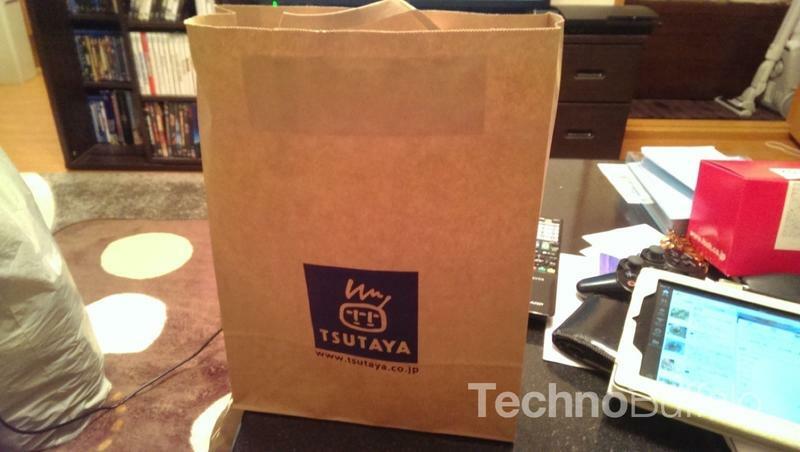 This 2014, I braved the crowded shopping streets to explain to you one of Japan’s more enjoyable shopping ideas of the season, the 福袋, or “fukubukuro.” Literally translated, this means “lucky bag,” but it’s far more accurate to refer to it as a “mystery bag” because more often than not, these bags are not always lucky. For a flat rate price, you buy just a bag filled with merchandise. What is in the bag remains unknown until after you’ve made the purchase and opened it, so hence, what you are buying is a “mystery” and only maybe you will be “lucky.” Stores also benefit by getting rid of unwanted merchandise at a decent price. This idea started from clothing stores, but have since branched out into just about anything. Even the Apple Store in Japan sells them, and some lucky customers walk away with a brand new iPad while others get nothing but accessories. And of course, there are video games. Sweet, sweet video games. I was only able to find a video game fukubukuro at my local Tsutaya, the Japanese equivalent of Blockbuster, and they had a variety of offers. Being video games, of course, they have to ruin the fun a little bit so you know which platform you are buying for. I had many choices. Three Xbox 360 games for 1,000 yen (about $10), three PSP games for 2,000 ($20), or a popular Nintendo 3DS game and two more normal DS games for 4,000 ($40). 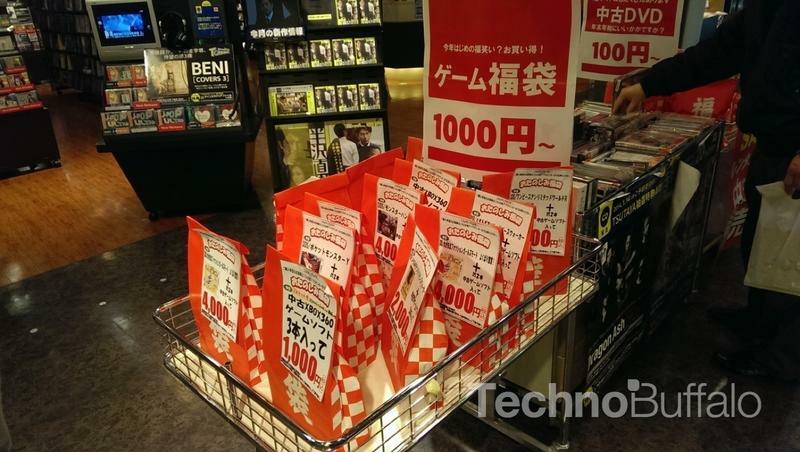 Most of the bags ruined the surprise by revealing at least one game in the bag, generally the most popular one. Monster Hunter 4, Pokemon Y, Metal Gear Solid: Peace Walker… Girls Mode. I dunno that last one. 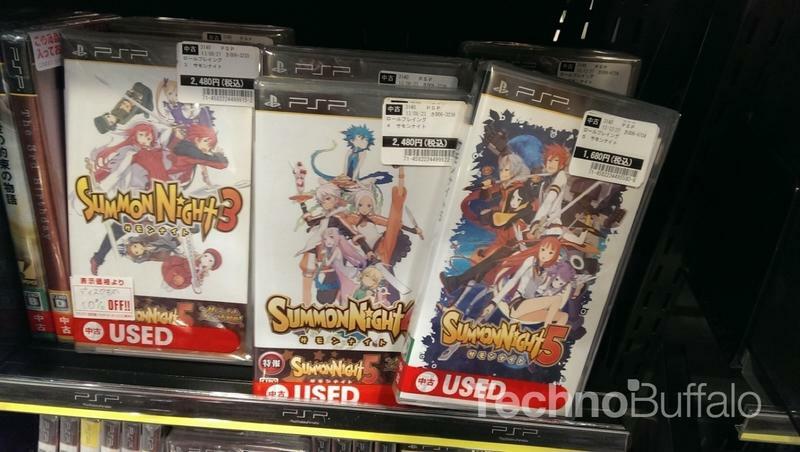 My initial gut told me to pick up a PSP bag with Summon Night 5 highlighting the choices. I’ve always been lightly tempted to try the series, and I can actually play PSP games, whereas the Nintendo 3DS and Xbox 360 are both region locked. 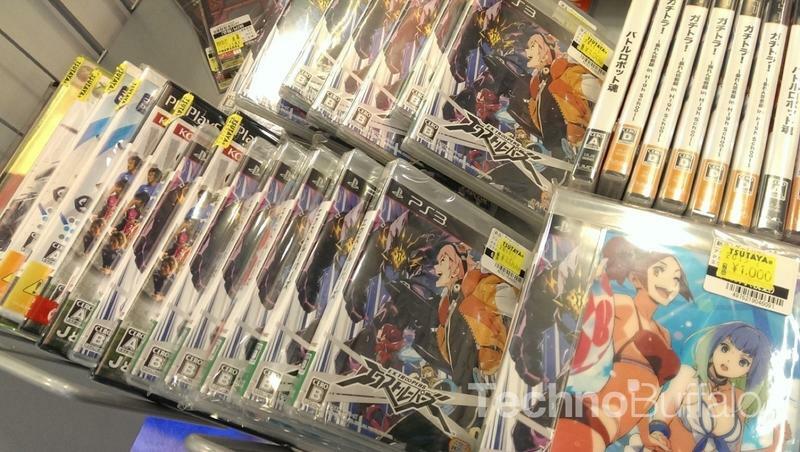 While paying, I couldn’t help but notice an entire bin filled with new and used copies of E.X. 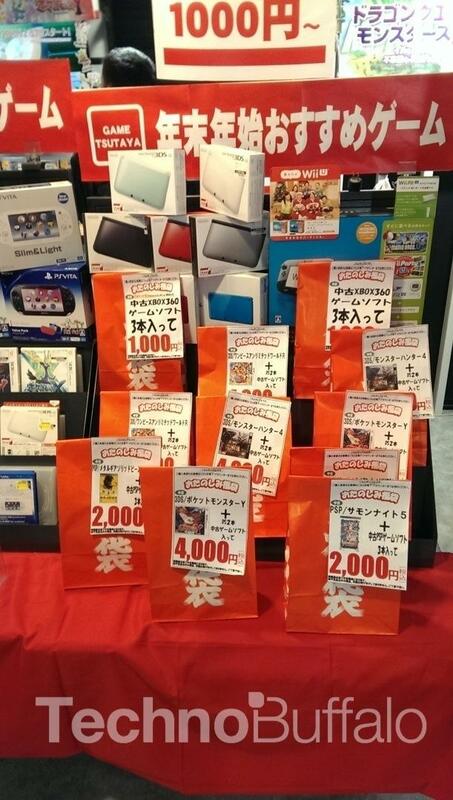 Troopers discounted to a New Years price 1,000 yen each located right next to the cash register. Check this one out, kids. Import gems are rare these days, but this is one you’ll want to try. The PlayStation 3 isn’t region locked, and the language barrier is easy to overcome. Just shoot stuff! The clerk didn’t give me the bag I picked up, but instead went into the back room to pull out a bundle of games wrapped in a plastic bag. 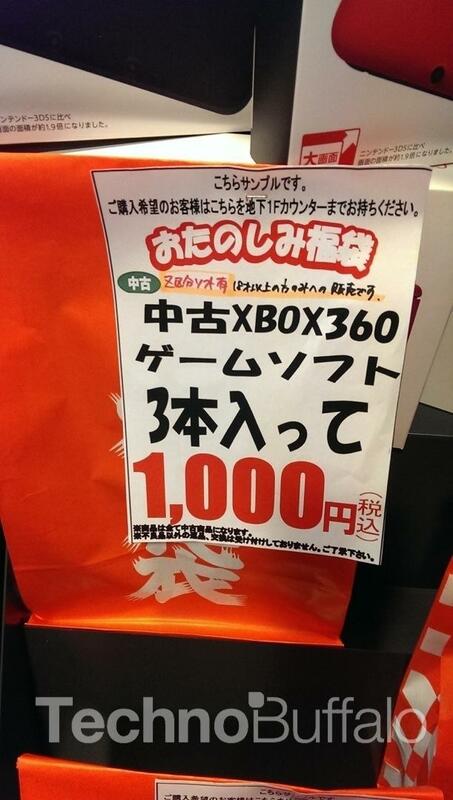 He put them in a generic boring brown one, spoiling the fun of taking home a fukubukuro. 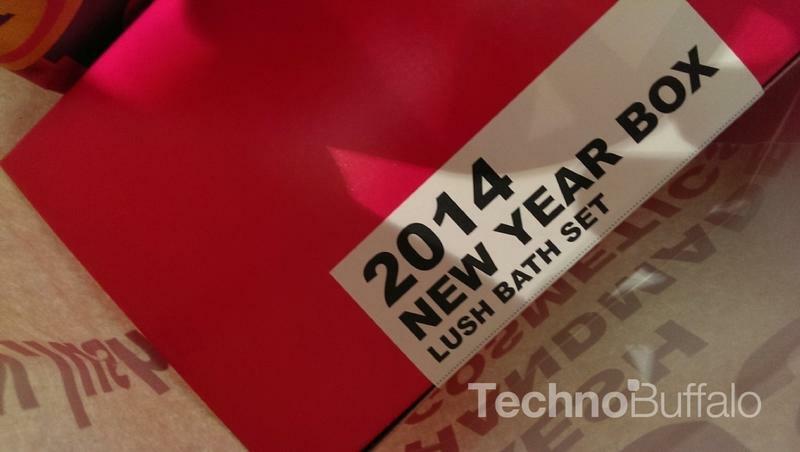 So after snagging my fiancee a fukubukuro of bubble bath from Lush, I took my prize home to see if I was lucky. Let’s see what the 2014 haul brought us in! 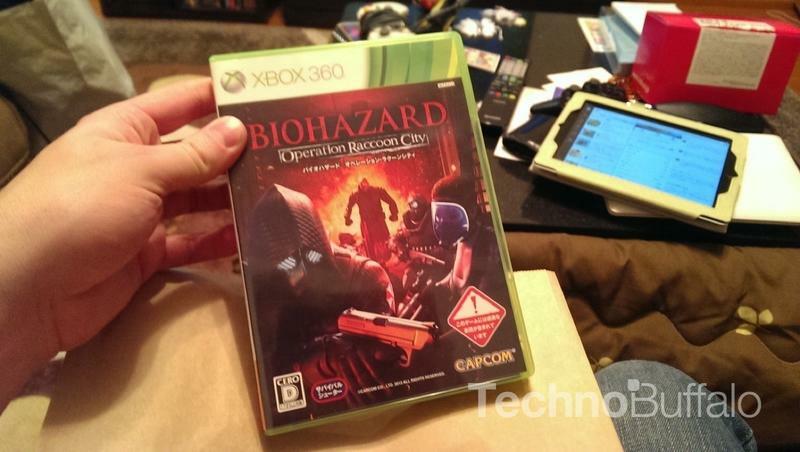 Ehhh…a copy of Biohazard: Operation Raccoon City. A poorly-received rail shooter which sloppily stitches together and retells the events of Resident Evil 2 and Resident Evil 3 with new and improved HD graphics. Thanks, but I’ll just stick to the classics. Score this one as a negative. Also note, I thought it was the mature “Z” rated game, but I was wrong. Resident Evil is only rated “D” in Japan, which means it’s a 15+ game. The mature game has yet to unveil itself. Ah, there is the “Z” rated game. 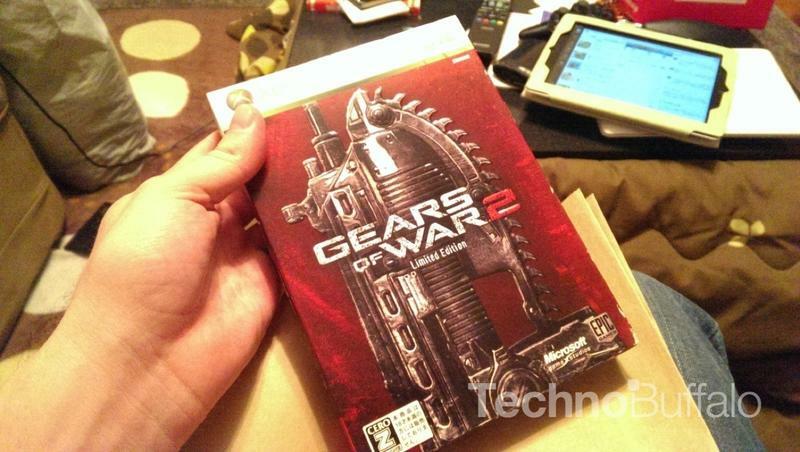 Gears of War 2! Its the Limited Edition as well, which I was unaware was even released in Japan. Still, when shopping in Japan, I like to pick up weird and obscure Japanese video games, and this is about as far of an example as I can think of from that. 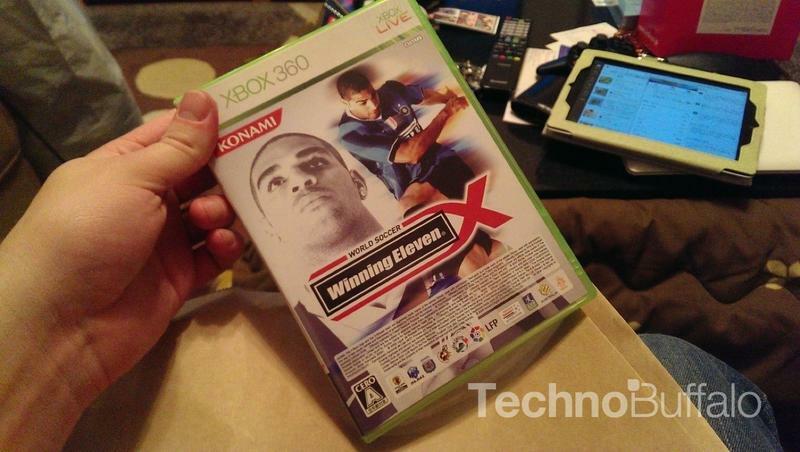 A nice game, but hardly what I had in mind. Just one more game left! Could there be something great at the bottom of this faux treasure box? To make things worse, I can’t even play these games because of the region locking. I immediately ran back to pick up the Summon Night 5 bag I really wanted, only to discover that all the PSP fukubukuro had sold out. Talk about a buzz kill. Keep that in mind kids, when you want something, buy it as soon as possible because it might not be there tomorrow. So my first experience with New Year’s fukubukuro turned out to be a total failure, but I have emerged smarter and ready to plan my attack for next year. No holding back, and no excuses for putting off any purchases. Those PSP games will be mine… if they are still being sold a year from now. Check back in next year for the Japan New Year’s 2015 Video Game Fukubukuro! This year, though? I have the bubble bath from Lush, so at least I will smell pretty. I never thought I would have more fun with cosmetics than video games, but there you go. Happy New Year’s from Japan!